Seeing trash cans overflowing with straws night after night has prompted a server in Toronto to launch a campaign against the plastic item that's become a target of the British government as it aims to rid such pollution from oceans, though Canada has stopped short of pushing for a similar commitment. Jillian Lucas said her 10-year career in the restaurant business provided her with contacts at establishments that will be joining forces for The Last Straw on Saturday, when servers won't be providing straws in drinks, unless customers ask for them. "It has blown up well past that," she said of restaurants and bars that have expressed an interest in the campaign that also involves her friend Tiffany Leeson. Lucas said her goal to use less plastic in her personal life has her regularly asking servers skip the straw in her cocktails. But she couldn't help but notice the vast amount of single-use straws generated in eateries and bars. "At the end of the night, what you're looking at in your garbage can is fruit and straws. 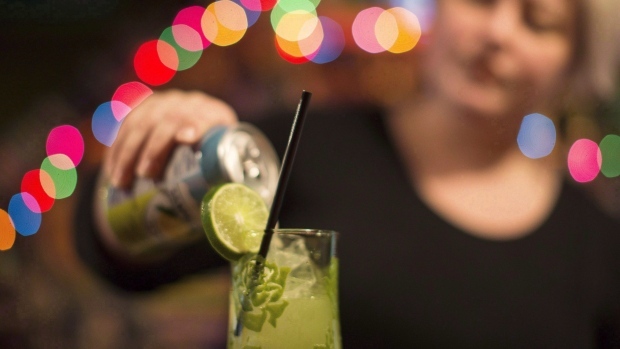 That is, behind the bar, the majority of what we throw away," she said. Lucas said she's hoping a day of focused awareness during The Last Straw event will lead to reduced use of single-use plastic items, including food containers and utensils. That's the goal of some restaurants elsewhere in the country including Vancouver, and many across North America, as cities consider ways to curb the use of plastic drinking straws, disposable cups, takeout containers and plastic bags. In Vancouver, city staff have put forward a proposal requiring servers to ask customers whether they want a straw. British Prime Minister Theresa May wants to ban plastic straws, stir sticks and cotton swabs and urged other Commonwealth nations to do the same during a summit in London this week. Prime Minister Justin Trudeau said Canada would endorse an international declaration aimed at cleaning up the world's oceans and is looking for "approaches that are going to be both substantive and impactful." But he sidestepped a question on whether the country would eliminate plastic straws. Karen Wristen, executive director of Living Oceans, which has worked to protect Canada's Pacific coast since the late 1990s, said banning straws won't stem the tide of marine debris that animals often mistake for food. "It won't make a dent in the use of single-use plastic that winds up as beach litter," she said from Bowen Island, B.C., adding coffee-cup lids, cigarettes lighters and plastic cutlery lands on beaches of the northwest coast of Vancouver Island, where the organization conducts regular cleanups. "We're trying to inspire the federal government to convene a forum where we can create a comprehensive national policy for plastics because it wouldn't make sense at all for these sorts of bans to crop up city by city," Wristen said, adding she agrees with Trudeau's stance not to ban disposables item by item. "Single-use disposables, right off the top you would say that's probably not a good thing but there are jobs and industries to consider and you don't want to come at this in a way that's going to unfairly penalize people who've done perfectly legal things all along," she said. "I think we need to convene a national dialogue on this, on what we're going to phase out and what we're going to allow to continue." Kara Woodring, spokeswoman for Aardvark Straws of Fort Wayne, Ind., said the company invented paper straws in 1888 after Marvin Stone was dissatisfied with his rye straw because it would melt in his mint julep. "He found a way to wind paper around a pencil with glue," she said of the invention that wasn't too durable. Plastic straws that were cheaply manufactured overseas nearly wiped out the company in the 1950s, Woodring said, adding paper straws lined with paraffin wax were a response to environmental concerns and break down in about 60 days. An estimated one billion plastic straws are used around the world daily and 500 million of them are disposed of daily in the U.S., Woodring said.